A blood transfusion is a very common medical procedure that can be lifesaving to the recipient. During a blood transfusion, donated blood is added to the recipients blood. A blood transfusion may be done in combination with other procedures. In most cases the blood donated is done ahead of time before the recipient undergo elective surgery. During a routine typical blood transfusion, specific parts of blood are delivered through an intravenous (IV) line that’s placed in one of the veins in your arms. Blood transfusions usually take one to four hours. If it is an emergency, it can be done much faster. A blood transfusion boosts blood levels that are low, either because you body is not making enough blood or the patient lost blood owing to surgery, injury or disease. Why are blood transfusions done? People well received blood transfusions for many reasons, including bleeding, injury, surgery and disease. 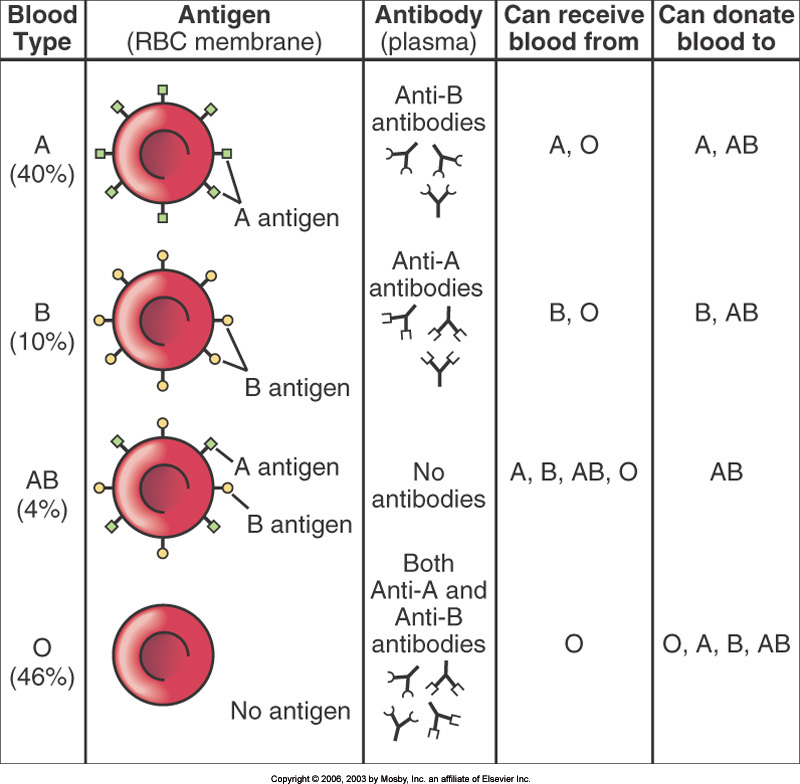 Blood will have several components that are transferred including red cells, white cells, plasma, and platelets. Patients receive a transfusion that provides the part or parts of the body that are most helpful in recovery. The term whole blood means that the blood contains all its parts of the blood. Today researchers are working on ways to develop an artificial blood. However, there is not a good replacement for human blood currently available. Blood Transfusions are used for many reasons: Surgery anemia, and injury. If a person loses blood dure to an injury and surgery. A patient may experience anemia. 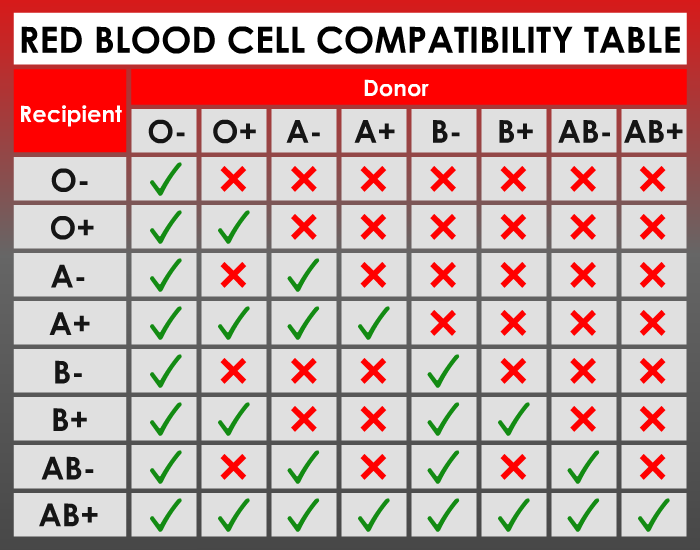 He/she may require a transfusion of packed red blood cells which means that the blood received contains a concentration of mostly red blood cells. This type of transfusion is typically done for people who have anemia or other related conditions. Bleeding from ulcers, enlarged veins (varies or other conditions of the digestive tract can be life threating. Blood grandiose can be lifesaving. Cancer can affect the body’s ability to produce red blood cells, white blood cells, and platelets by impacting organs that help to increase the blood count, such as bone marrow, kidneys, and the spleen. Treatments such as radiation, chemotherapy drugs can also decrease the elements of the blood. Blood transfusion may be used to improve the outcome of the blood. Other Illness, cause your body to make too few platelets or clotting factors. You may need transfusions or just blood components to make up for low levels. Infections such as liver failure, severe burns, or transfusion of plasma. Plasma is the liquid part of blood. Blood disorders, Pople with blood disease may receive a transfusion of red blood cells, platelets or clotting factors. Severe liver malfunction, If a person has severe liver problems they meant a transfusion of albumin, which is a blood protein. Blood transfusions are considered safe; There is some risk of complications, complications can make happen during the transition or not for weeks, months or even years afterward. Hepirtairis B- 1 in 205, 000 donations. Hepatitis c- 1 in 2 million donations. If you have an allergic reaction to the transfusion, you may experience hives and itching during the procedure or very soon after. This type of reaction is usually treated with antihistamines. Rarely more serious reaction cause difficulty breathing, low blood pressure, and nausea. If a person quickly develops a fever during the transfusion, you may be having a febrile transfusion reaction. The doctor would stop the transfusion due to further test before deciding whether to continue. A febrile reaction can also occur shortly after the transfer. Fever may be accompanied by chills and shake. In very rare cases, a serious transition reaction the body attacks the transfused red blood cells since the donor blood type is not a good match. In response, the immune system attacks the transfused red blood cells which are viewed as foreign. These destroyed cells released a substance into your blood that harms you kidneys. This is usually occurs during or right after a transfusion. Sign and symptoms include fever, nausea chills, lower back or chest pain, and dark urine. Transfusion- related acute lung injury (TRALI) is thought to occur due to antibodies or other biologic substances in the blood components. With TRALI occurs the lungs become damaged, making it difficult to breathe, Usually, TRALI occurs within one to six hours of the transfusion. People normally recover, particularly when treated immediately. Most people who die after TRALI were very sick before the transfusion. Blood banks screen donors of risk factors and test donated blood to reduce the risk of transfusion-related infections. Infections related to blood transfusion still really may occur. It can take weeks or months after a blood trunnion tod determine that a person a been infected with a virus, bacterium or parasite. This type of reaction is similar to an acute immune hemolytic reaction, but it happens much more slowly. Your body progressively attacks the donor red blood cells; It could take one to four weeks to notice a decrease in red blood cells levels. If you receive multiple blood transfusions, you may end up with too much iron in the blood. Iron load (hemochromatosis) can damage parts of your body, including the liver and the heart. You may receive iron chelation therapy; which use medication to remove excess iron. Transfusion-associated graft-virus-host disease is a very rare condition in which transfused white blood cells attack the recipient’s bone marrow. This condition usually is fatal. It is likely to affect people with severely impaired immune systems, such as those being treated for leukemia or lymphoma. Signs and symptoms include flash fever, diarrhea, and abnormal liver function test results. Irradiating the blood before transfusion, it reduces the risk. What can you expect from a transfusion? 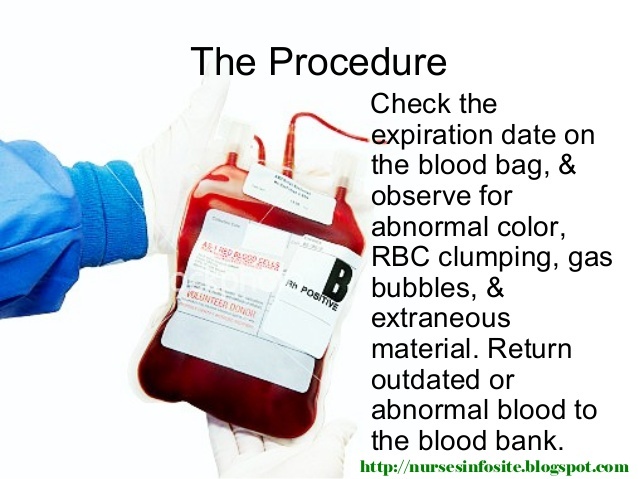 Blood transfusion is silly done in a hospital, or a doctors office or outpatient clinic. A blood transfusion can take one to four hours and depend on the parts of blood you race and how much blood the patient needs. The donor is usually lying down or seated for the procedure. Before a blood transfusion, identification is checked to make ensure that the blood that is being given is correct. The an IV line with a needle is inserted into one of the blood vessels. The donated blood that’s been stored in a plastic bag enters the bloodstream through the IV. A nurse will monitor the patient throughout the procedure. The patient should tell the nurse immediately if he/she develops. The needle and IV line will be taken out. The patient may develop a small bruise around the IV site, but this should go away with time.